Remember our 10 Most Inspiring Travel Pages on Facebook? 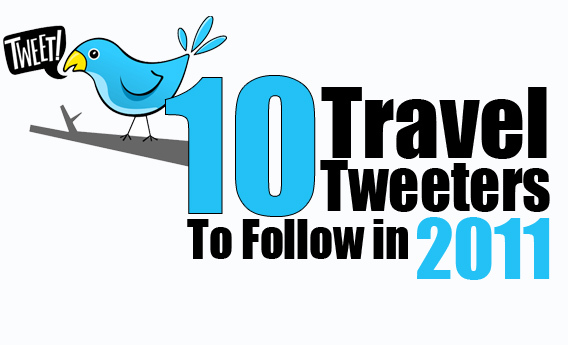 Well we are very excited to present our 10 Travel Tweeters to Follow in 2011! Our list includes individuals, families and organizations who will motivate you to explore our world and discover new horizons. 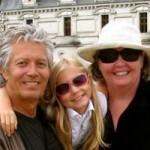 Follow them and take advantage of the valuable travel tidbits they share with all of us. Heather is a flight attendant, but she isn’t just any flight attendant, she is a flight attendant with 68,722 followers on Twitter. She also writes a column, Galley Gossip, for Gadling.com. Topics include “Looking for Love at the Airport” (she met her husband somewhere over Illinois) and “20 Ways to Use a Maxi Pad in flight”. She also has a personal blog where you can read about what she does during her layovers in exotic cites and why you’re not going to get upgraded to first class for free. Doesn’t sound that interesting? Read a couple of her posts and the comments. You’re going to get sucked in! These guys have the right idea; the best travel tips come from other travelers and locals. That’s their inspiration. 46,672 followers on Twitter can’t be wrong. 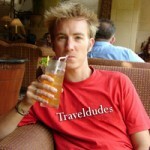 On their website you can check out travel tips, diaries, videos and photos, all submitted by independent travelers. In addition, hostels, other accommodation types, tour operators and guides can present themselves completely for free on their website. Here’s something else refreshing, they aren’t selling anything! This amazing family of three, DaVinci, Jeanne D’Arc and their little girl Mozart (obviously aliases) are a family from Santa Cruz, California who sold their vineyard and took off on a worldwide epic odyssey on September 2nd, 2006. 27,943 followers on Twitter went with them. On Thursday, March 10 they were at the Lourve in Paris, France. They encourage you to send them an e-mail, call them on Skype, or visit them anywhere along the line (seems they didn’t expect such a large quantity of followers). What’s the coolest thing about their website? Their multilingual chat with built in translating. Once again, the idea here is sharing. Sharing experiences, stories, pictures and videos. 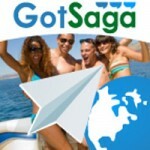 After you sign-up you make “friends” by inviting your personal friends and family or adding new friends that are already members of the GotSaga community. They have 10,620 followers on Twitter. That is a lot people to share with. Keith Jenkins took a hiatus from his job as a relationship management specialist in corporate banking, never expecting the collapse of the financial sector in 2008 would end his career permanently. Oops. So, he created a whole new career for himself and launched the Velvet (soft, plush, rich) Escape blog. 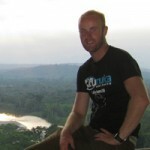 He has visited over 60 countries on 6 continents and he has 7,917 followers on Twitter who want to hear about it. 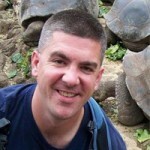 A freelance writer and manager of blogs and Twitter accounts, Andy travels whenever time and money allow. Sound familiar? It does to 7,007 Twitter followers. Don’t expect only the usual travel tips on his website. He may also answer questions like, “Are the people in Prague really unfriendly?” or “Laundry on the go - how to avoid smelling like a tramp while travelling.” He was recently in Prague where he discovered much to his dismay that the no indoor smoking trend that has spread though much of the world hasn’t reached the capital city of the Czech Republic yet. Now here’s someone we can relate to. Matt Long describes himself as “just an average person who has managed to travel the world efficiently and without spending a fortune”. 5, 464 average folks follow him on Twitter. 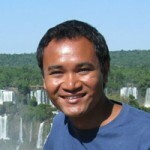 His goal is to “make travel more fun and accessible for everyone by providing information on how to see the world comfortably and affordably”. On his website you will find posts on everything from lodging to “good eats”, but our favorite is his first annual Lopers Awards. 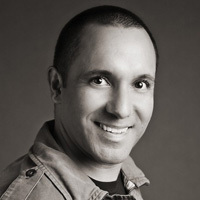 Brendan van Son is a professional photographer and travel writer. Read his short story, “The Boy and His Skipping Stone” and you will understand how he feels about travel. His 2,902 followers on Twitter feel that way too. You will find the usual suspects on his webpage; photos, travel stories, etc. A couple of the articles in the Humor section are particularly entertaining. They did what you (and 2,367 followers on Twitter) have always wanted to do. Eric and Karen quit their jobs to travel the world for 5 years. They are going to visit all 23 countries in the Western Hemisphere. They started in 2008 in the U.S. and Canada and then crossed over into Mexico. At the moment they are in Central Mexico. They aren’t just any travelers, their writing and photography has appeared in major publications, from Travel & Leisure to National Geographic Adventure Escape. 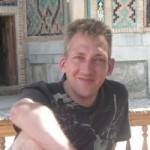 Mark is a Mexico enthusiast and has visited over 20 of its 32 states. His website is a refreshing look at Mexico that goes way beyond Cancun and Acapulco. 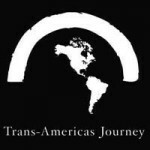 He has some great information on his website about bus travel, which is a sorely neglected subject on most websites about Mexico. Check-out the interviews he’s done, they are particularly interesting. He is an avid Tweeter with 1,684 followers. He grew-up in Texas and lives in San Francisco but one day will move to Mexico permanently. Don't forget to follow @YucatanHolidays too! 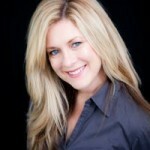 Kristin Busse is currently a travel writer but has worked in many different industries. She lives in Cancun, Mexico and plans to use her diverse experiences to write about the Yucatan Peninsula from her unique perspective. Follow Kristin on Twitter. Thanks so much for mentioning me. It means a lot to be thrown in the same pile as these other greats. Cheers! Hi Brendan! De nada, I really liked “The Boy and His Skipping Stone”. Keep writing and sharing with us! What an honor. Thank you so much for the fabulous comments about GotSaga. We want to thank you from the bottom of our hearts. Great post! I like this kind of recommendations, and will definetively follow them all! Thanks for the nice words & listing Traveldudes! It’s a great list & can recommend to follow all of them closely… daily! Hi everyone! Thanks so much for checking out the post and for your comments. Gracias as well for all the cool information, stories, photos, etc. that you all share with the world. Thanks for including us. Great list, nice to be included with such great company. Nice picks! Thanks for sharing. Well we must follow G2onSolimanBay as well! Thanks for your comments everyone.